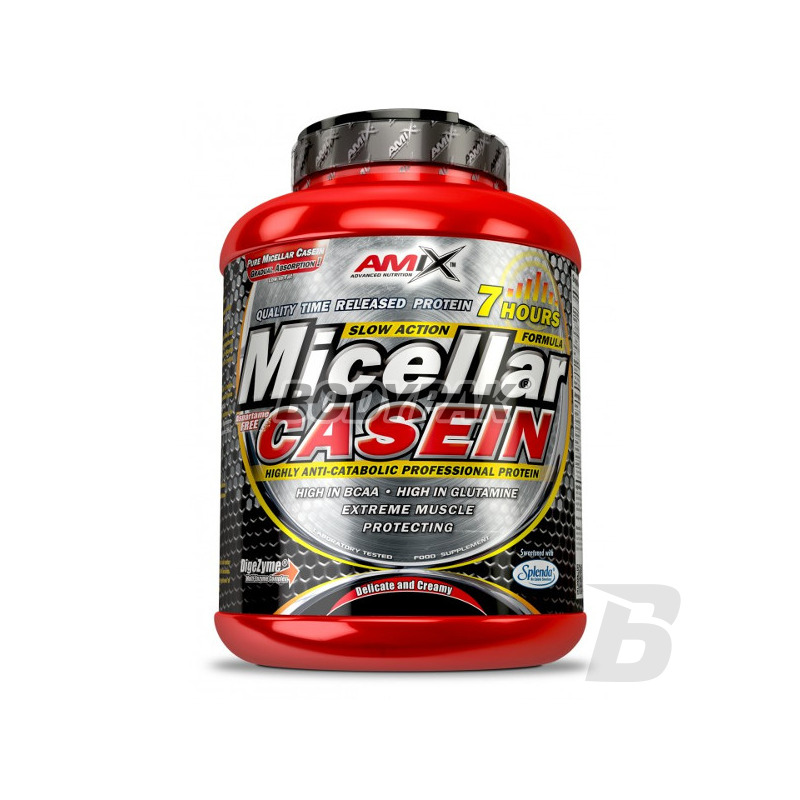 Micellar Casein is milk protein concentrate containing micellar casein and whey in the same ratio as skimmed milk 80:20. Slow and sustained release of amino acids from Micellar Casein can cause a „timed release“ trickle of amino acids into the bloodstream which can last for as many as 7 full hours after ingestion. 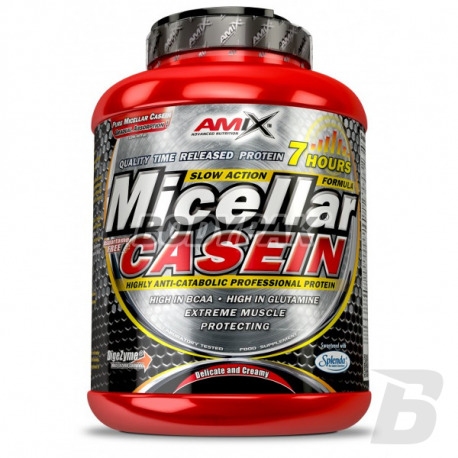 So Micellar Casein is a good choice of protein to use before bed as a protein slowly released into the system during the night. Ingredients: Milk Protein Concentrate (80% micellar casein), 20% whey protein), cocoa powder (chocolate flavor only), aroma, stabilizers: xanthan gum and guar gum, soy lecithin , Dye: (banana flavor - curcumin, strawberry and wild berries - beet extract), patented enzyme blend: DigeZyme ® Multi-Enzyme Complex (amylase, lipase, lactase, cellulase, protease), sweeteners: SPLENDA sucralose, acesulfame K.
Bardzo gęsta po przyrządzeniu.Pyszny pudding na dobranoc.Lepsza od Treca i Real Pharm. Pierwszy raz trafiłem na kazeinę, która na prawde mi smakuje. Truskawka dopracowana w 100%. Stosuje zawsze zaraz przed pójściem spać, w nocy się nie budze a rano wstaje wypoczęty! Kazeina micelarna w dobrej cenie i niezłym smaku. Stosuję przed snem żeby wyłączyć nijako katabolizm nocny.